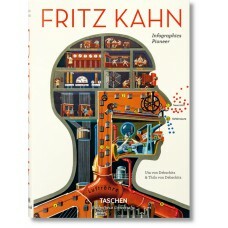 Fritz Kahn (1888–1968) was a German doctor, educator, popular science writer, and information graphics pioneer. Chased out of Germany by the Nazis, who banned and burned his books, Kahn emigrated to Palestine, then France, and finally the United States to continue his life’s work. 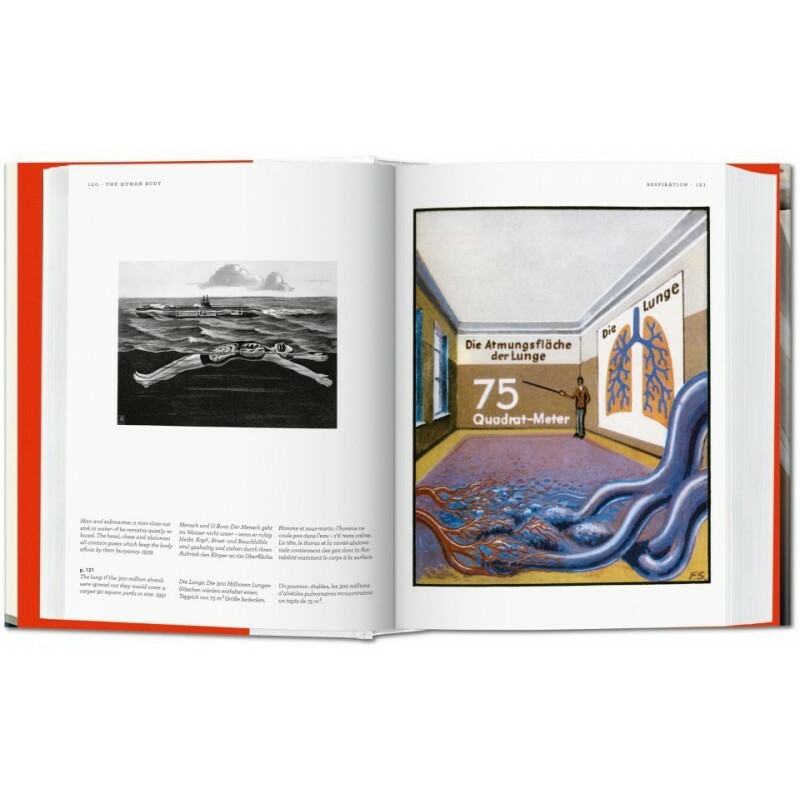 The book features more than 350 illustrations with extensive captions, three original texts by Fritz Kahn himself, a foreword by Steven Heller, and an essay about Kahn’s life and oeuvre. 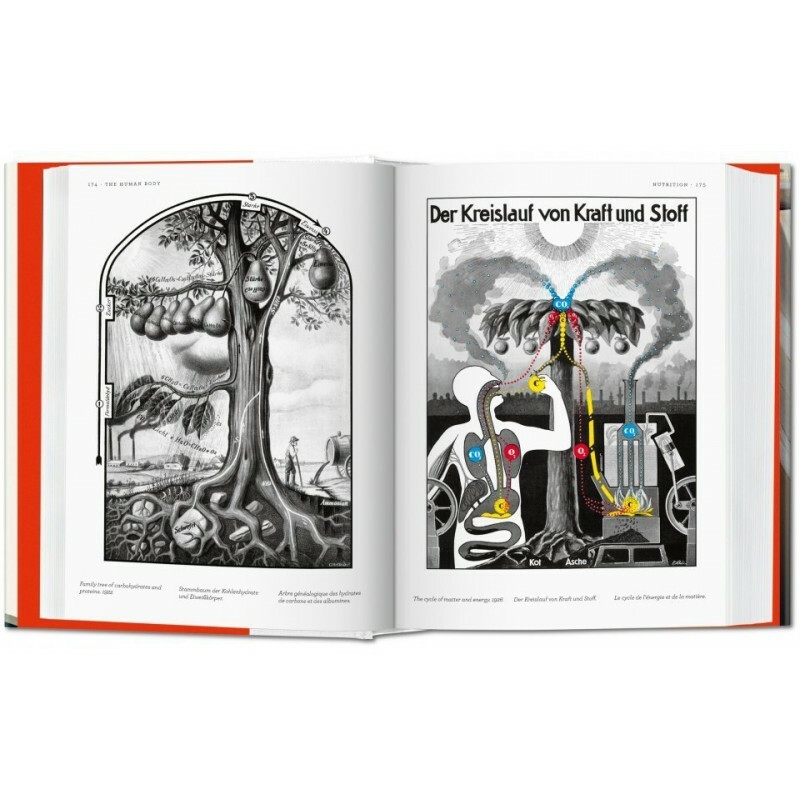 Brother and sister Uta and Thilo von Debschitz have collaborated on several picture/text projects. They were awarded the 2009 German Photo Book Award for their first book, Frank Kunert. 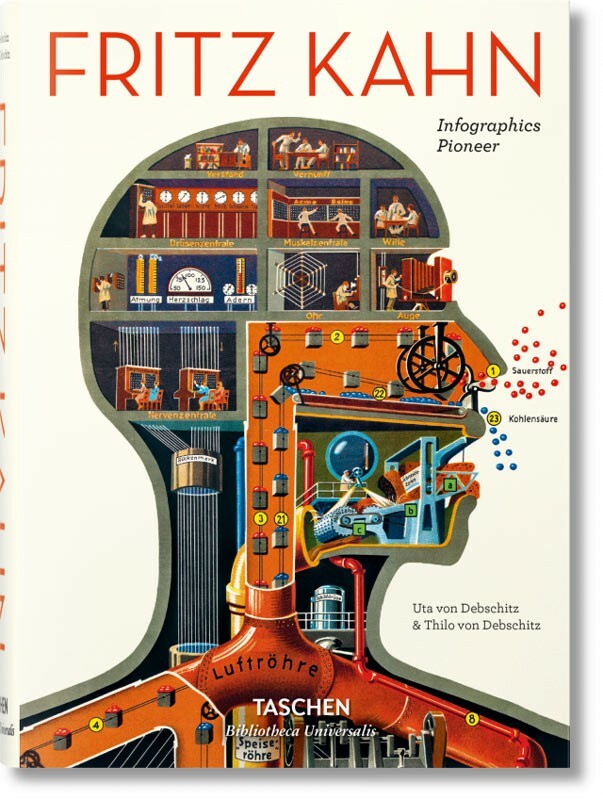 Topsy-Turvy World (Hatje Cantz Verlag) and in the same year they published their first book on Fritz Kahn. 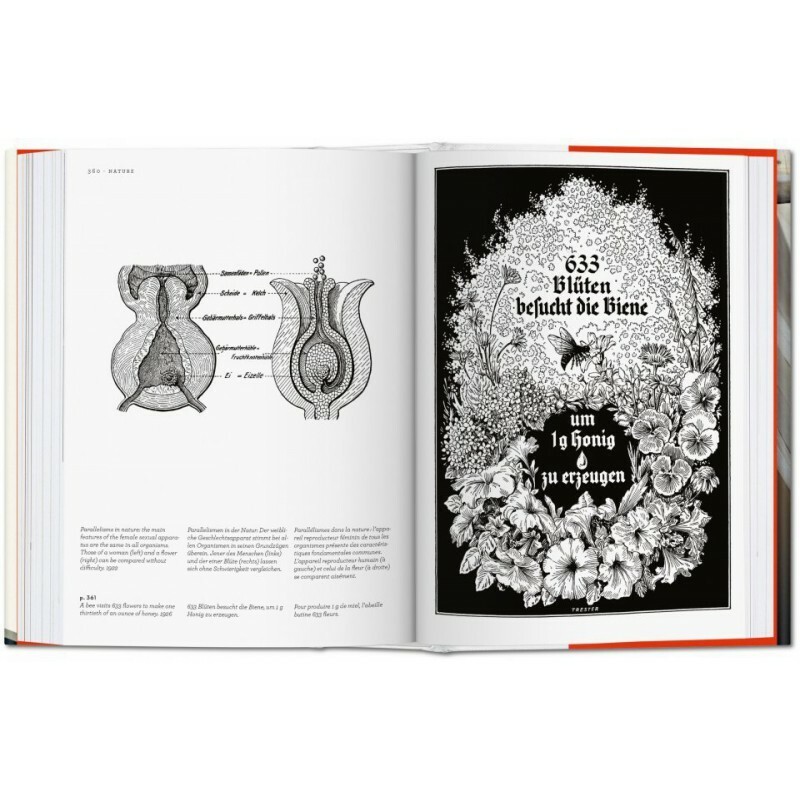 Uta von Debschitz was an architect until 2002, when she became a journalist focusing on culture and health. 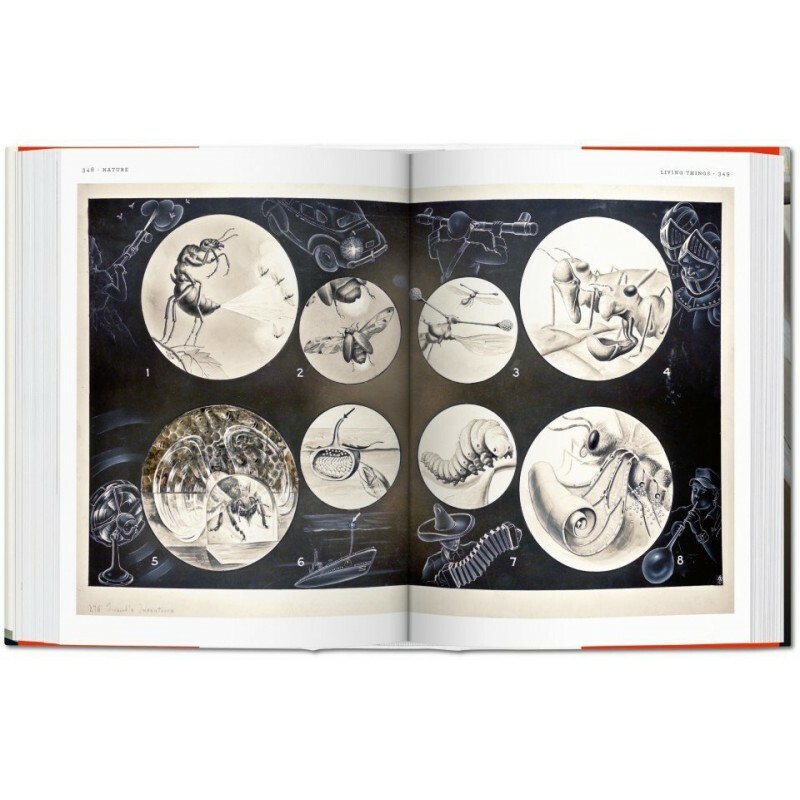 In 2010, she curated the exhibition of Fritz Kahn’s visual work at the Berlin Museum of Medical History and is currently doing a doctorate on Kahn’s visualizations at Berlin University of the Arts. 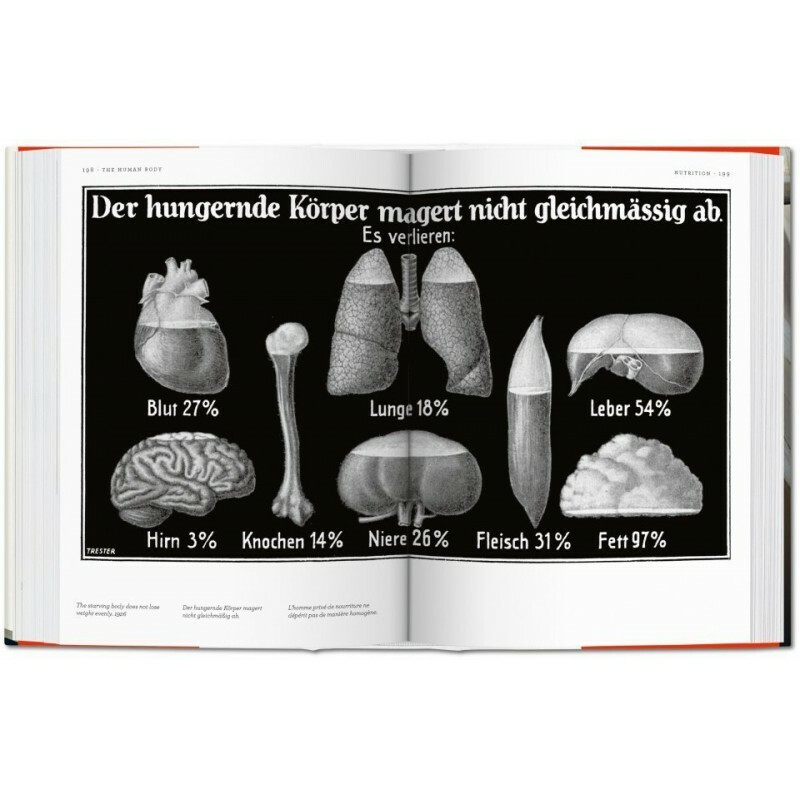 Thilo von Debschitz worked as a designer and art director in international advertising and design agencies after completing his communication design studies. 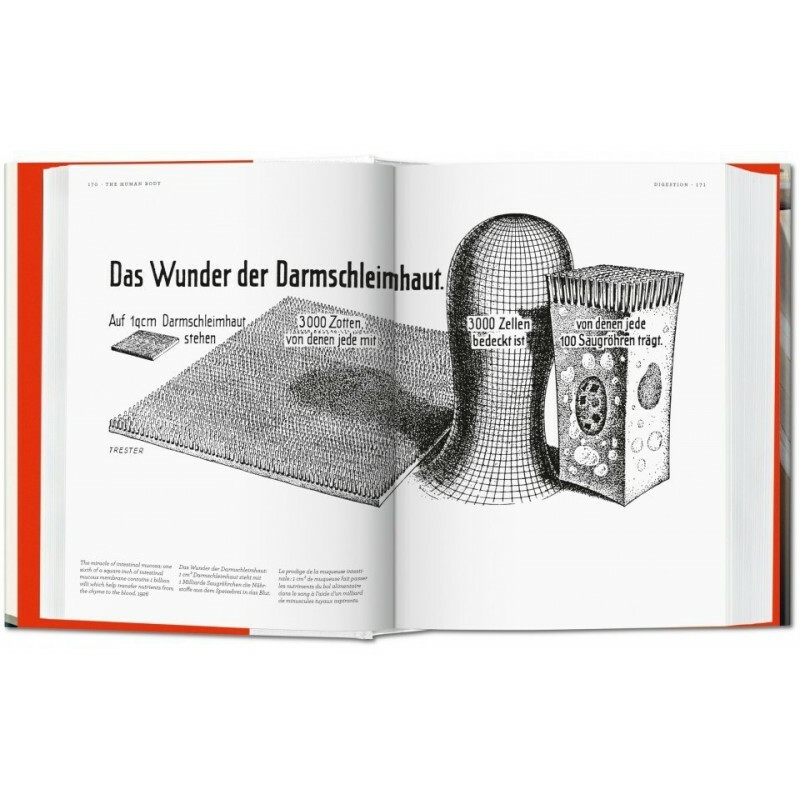 In 1997, he founded the creative agency Q in Wiesbaden, which has won many awards for its print and online media projects.